Local miners remain with tailings after the sluice. Here I am verifying their tailings and losses. Such material was tested by using Garrett Super Sluice to quickly determine what is being lost. Several flakes of gold of 1 millimeter have been found, and one nugget of 2 millimeter. Multiple small particles of gold including mercury have been found as well. 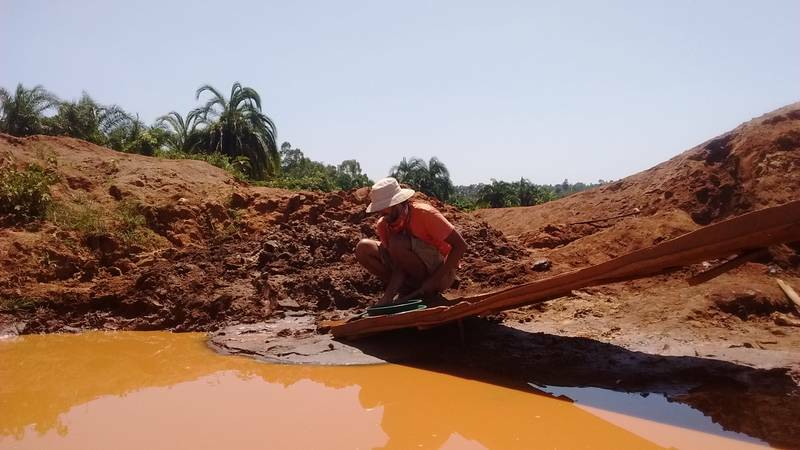 It proved again the losses of artisanal miners and gave us assurance of profitability of the tailings.